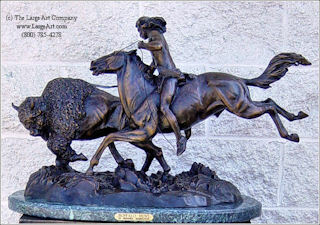 Buffalo Hunt by Frederic Remington captures the action of the hunt in detail. This sculpture measures 17" in height by 30" in length for the large size. The small size is 12" in height by 18" in length.